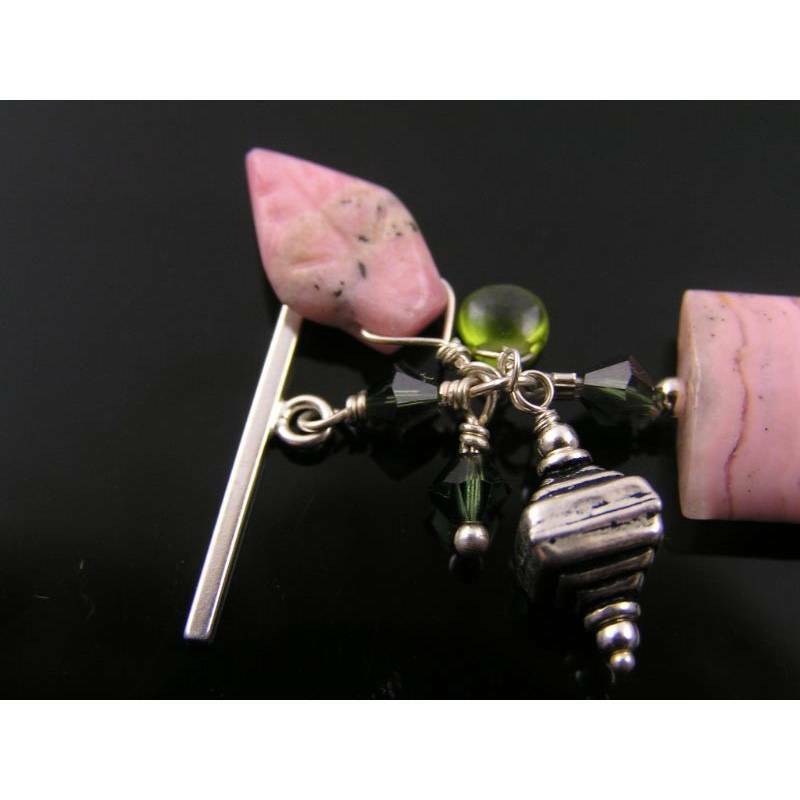 Rare gemstones in sterling silver. 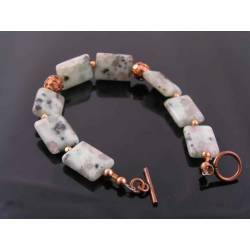 Reduced from $79. 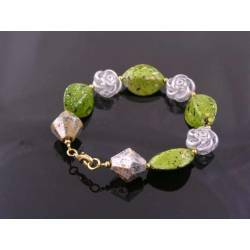 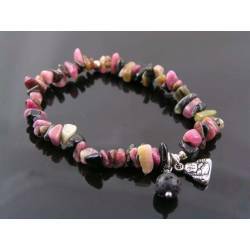 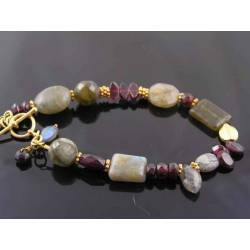 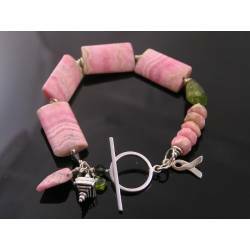 With this bracelet, you will get wonderful, high quality polished rhodochrosite rectangles which combine perfectly with the faceted vesuvianite nugget and the bright solid sterling silver accents. 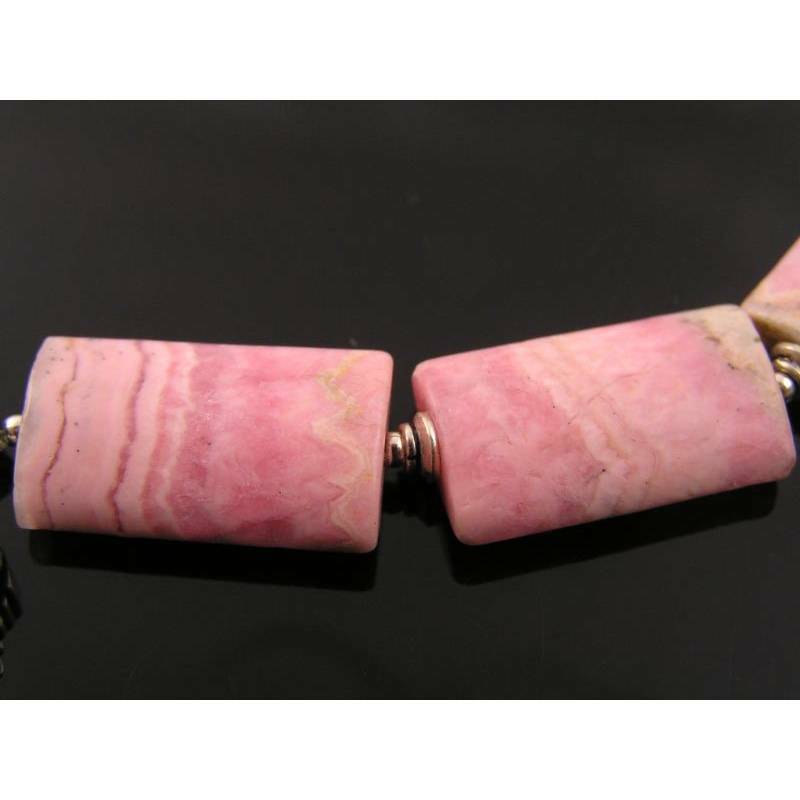 The rhodochrosite has great, all natural pink colour with the typical white banding. 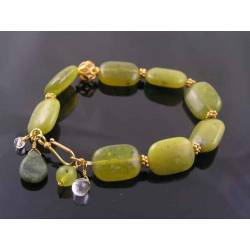 The Vesuvianite is all natural as well with the typical olive green colour in an unusually large size. 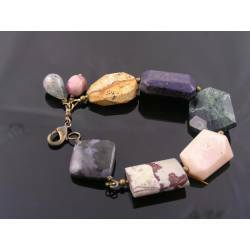 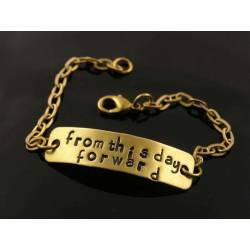 The bracelet will sit very comfortably around your wrist with just the right weight and size to display a beautiful presence. 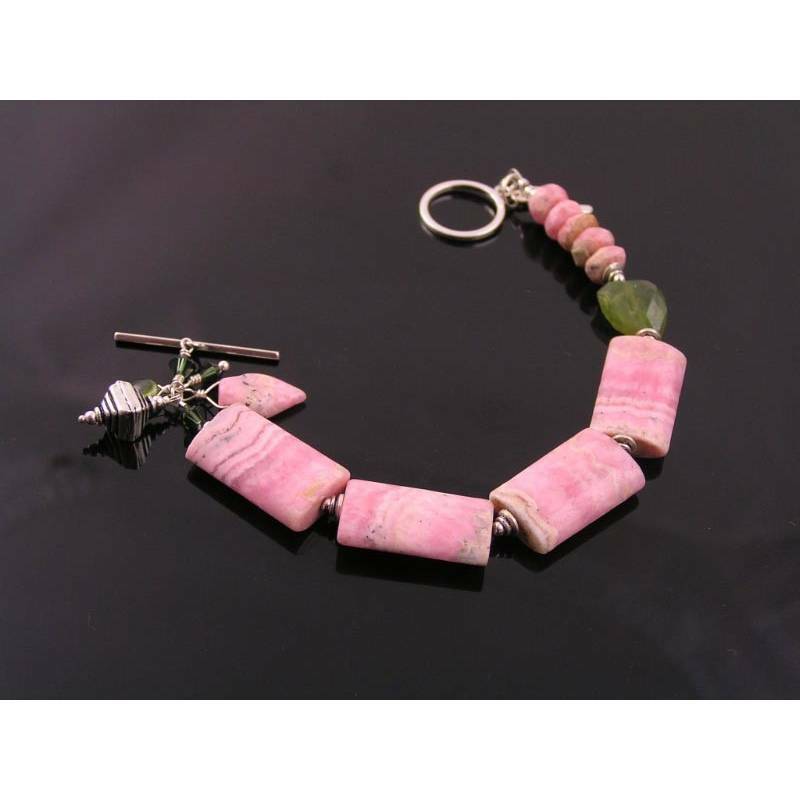 I have included some faceted Rhodochrosite rondelles as well as a carved leaf and also a smooth little Vesuvianite tear drop and some sparkling tourmaline coloured Swarovski crystals. 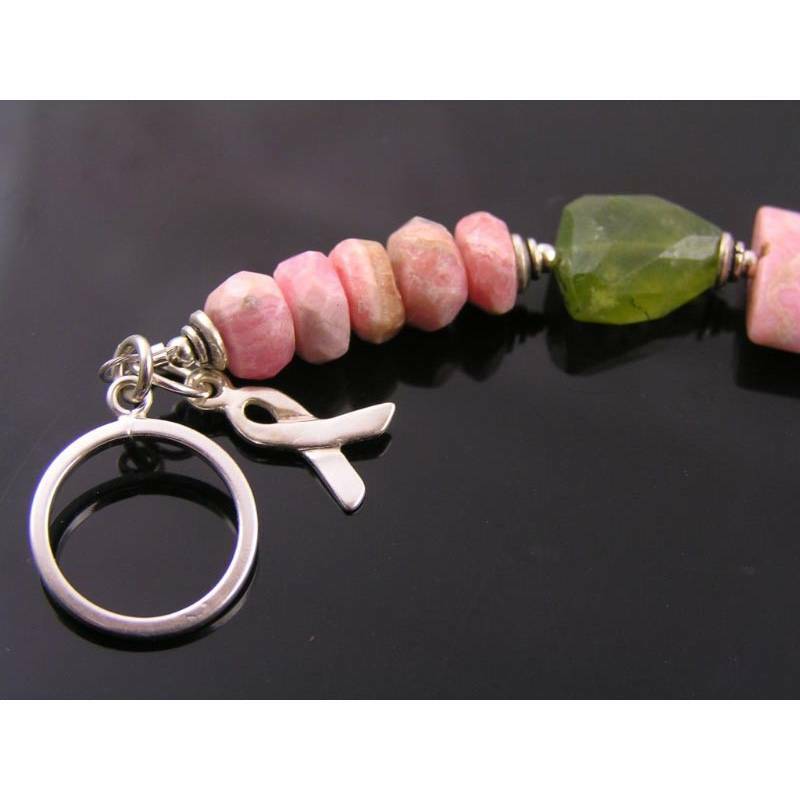 If you prefer to make a statement with your jewellery, you will like the sterling Breast Cancer Support charm that is dangling right next to the classic toggle clasp. 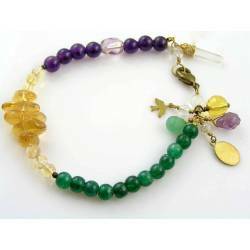 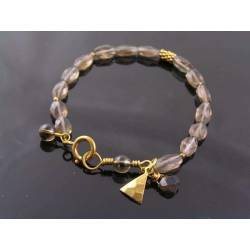 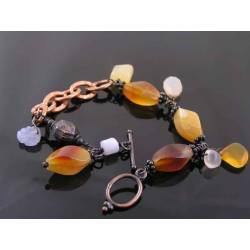 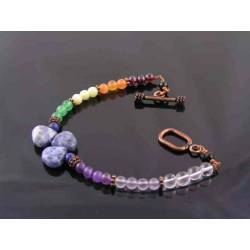 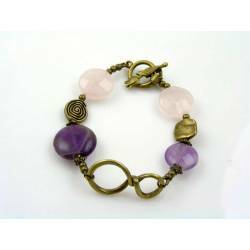 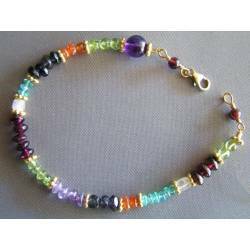 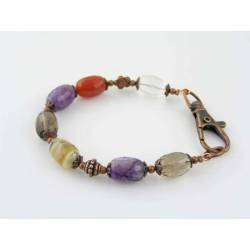 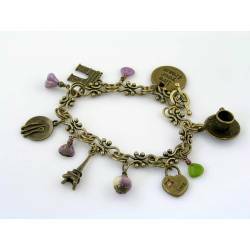 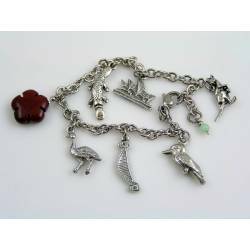 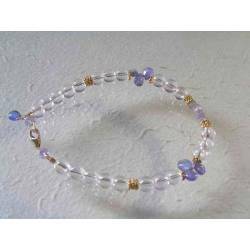 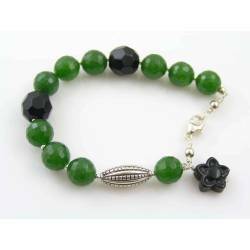 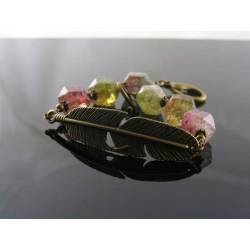 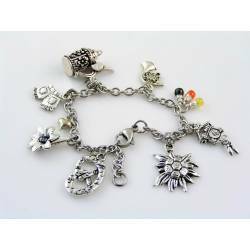 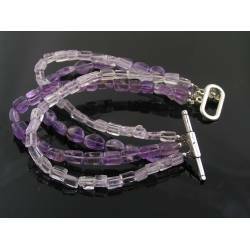 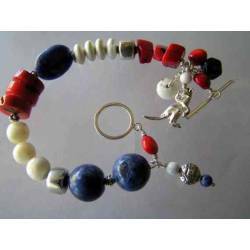 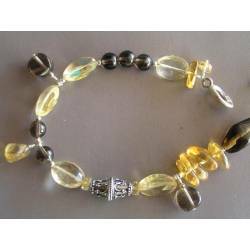 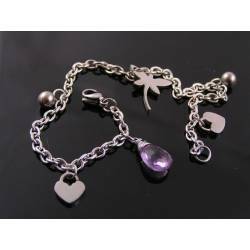 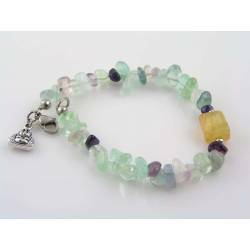 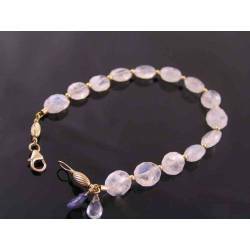 Total length is 17cm which makes this bracelet suitable for a wrist size of 15cm or smaller. 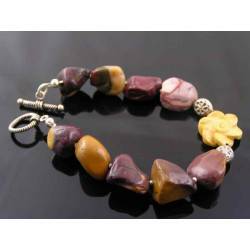 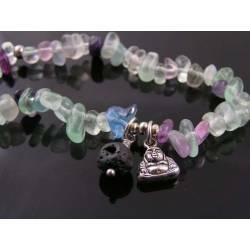 All metal is solid sterling silver and all gemstones are genuine, earth mined.